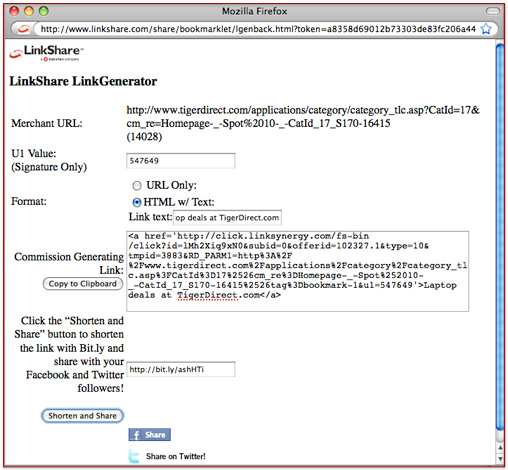 LinkShare has announced enhancements to their LinkGenerator that creates LinkShare affiliate links for any product on a merchant’s site. Affiliates Publishers can now add a U1 value (if they use Signature to track sub-sites or members), as well as append some promotional text and get back an HTML link. The LinkGenerator bookmarklet is available in the Bento Box.